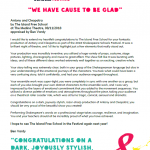 The Island Free School – Anthony and Cleopatra Appraisal! 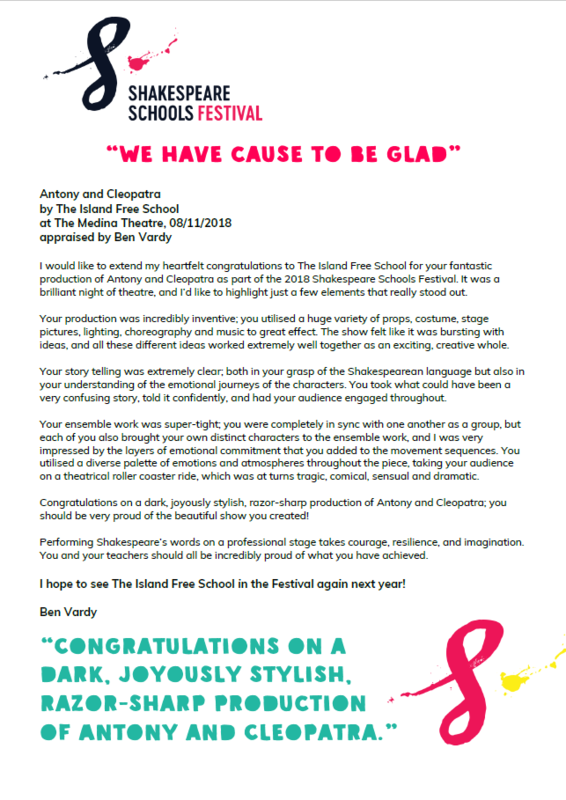 The Island Free School / All / News / Anthony and Cleopatra Appraisal! In November last year, The Island Free School took part in the Shakespeare Schools Festival, where they performed their interpretation of Anthony and Cleopatra to a packed out Medina Theatre. The staff and pupils did exceptionally well, and received amazing responses and reviews. We have received a brilliant appraisal from Ben Vardy of the Shakespeare Schools Festival.